Sylvester Stallone is currently 72 years old. When I was born in 1978 he had just gotten his big break in Hollywood two years prior with Rocky. 42 years after the first Rocky movie I’m writing a review about Creed II. A movie in which he plays the same character he did back in 1976. This must be some kind of record as I can’t recall any other actor who has played the same character for so long. The only competitor I can think of is Richard Roundtree. He will appear again as Shaft in this year’s Shaft. A character he has been playing since 1971. 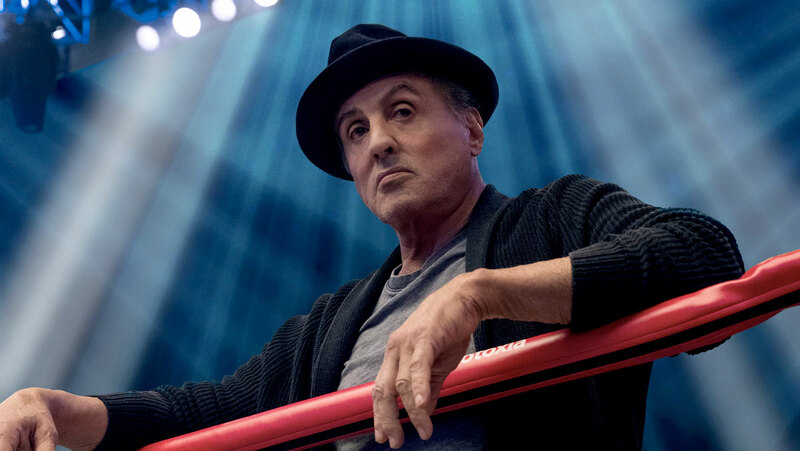 As the character of Rocky he embraces his actual age and portrays a character whose life has reached the third and final act. Often with actors of his age you can’t help but wonder if their latest movie will also be their last. And in a way the character of Rocky is also pretty confronting me. This was a character I grew up on in the 80s. Seeing him in this movie is also reminds me how much time has past. But that just might be my midlife crisis speaking. Russians have come to Philadelphia. Not to meddle in elections or have meetings with Trump family members, but rather to challenge Adonis to a fight. Viktor Drago is his name and he casts a shadow over Adonis when he stands next to him. If this all sounds familiar it’s because Viktor is the son of Ivan Drago: Rocky’s opponent in Rocky IV. Which is most 80s movie of all time and also a guilty pleasure of mine. If you have seen Rocky IV, you’ll know that Drago is responsible for the death of Apollo in the ring. He was subsequently defeated by Rocky in a match in a hostile Russia. This history provides Adonis with an opportunity to avenge his father. Should he accept the challenge. He wants to, but Rocky wants no part it. He warns Adonis how Viktor has been raised in hate in a speech that echoes Mickey’s speech in Rocky III when Rocky clearly underestimates Clubber Lang. The student has become the mentor. Adonis ignores Rocky’s warnings and gets himself beaten to a pulp by the imposing Viktor. Anyone who has seen a Rocky movie knows where this will go next: Adonis overcoming his demons with the help of a training montage or two. Many people were surprised by Creed, including myself. It was a triumph for director Ryan Coogler and his male muse Michael B. Jordan. Sylvester Stallone even managed to get himself an Academy Award nomination for best supporting actor. Creed II on the other hand, seems to follow the Rocky formula rather than trying to be its own thing. Writer Sylvester Stallone wisely avoids a Rocky II scenario by having Adonis win the world championship title directly in the beginning of the movie. He does however use elements of Rocky’s II – IV to create a mash-up. Adonis’ family life events resemble much of the events in Rocky II. Adonis being defeated in a first fight forcing him to reinvent himself and win in a second is what also happened to Rocky in Rocky III. The Russian element including a final fight overseas and a training montage somewhere in the middle of nowhere is straight out of Rocky IV. It’s fan service, but it also feels a lot like a paint by the numbers story. 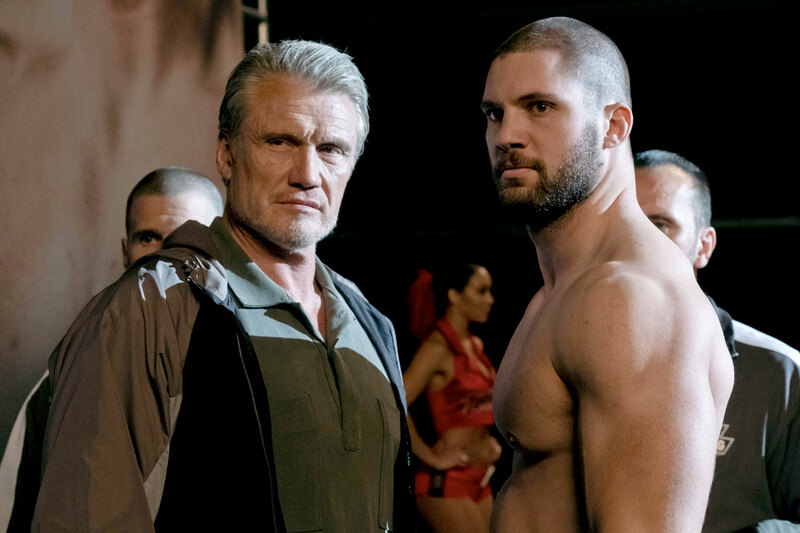 With Stallone still around and the return of Dolph Lundgren’s Ivan Drago, Adonis keeps standing in the shadow of the Rocky franchise. Even though Rocky’s character is sidelined more. Rocky’s only actual storyline revolves around him trying to reconcile with his son Robert. Despite a more limited screen time one the most intriguing moments in Creed II is a quiet scene in which Ivan visits Rocky in his restaurant. For the first time we actually hear Ivan speak in complete sentences. This is the guy whose lines in Rocky IV fit on a napkin. Because of the history between these men, the scene has a certain gravitas. Even though it doesn’t make much sense for Drago to go there. He never had a relationship or even a conversation with Rocky aside of that one time in the ring over 30 years ago. “If he dies, he dies” and “I must break you” are not really part of a deep conversation between two people. History is part of what elevates Creed II from being just a simple boxing movie. It builds on the preexisting groundwork already laid out in this franchise. As much as Creed keeps on standing in the shadow of the Rocky series, it also uses it to its advantage. 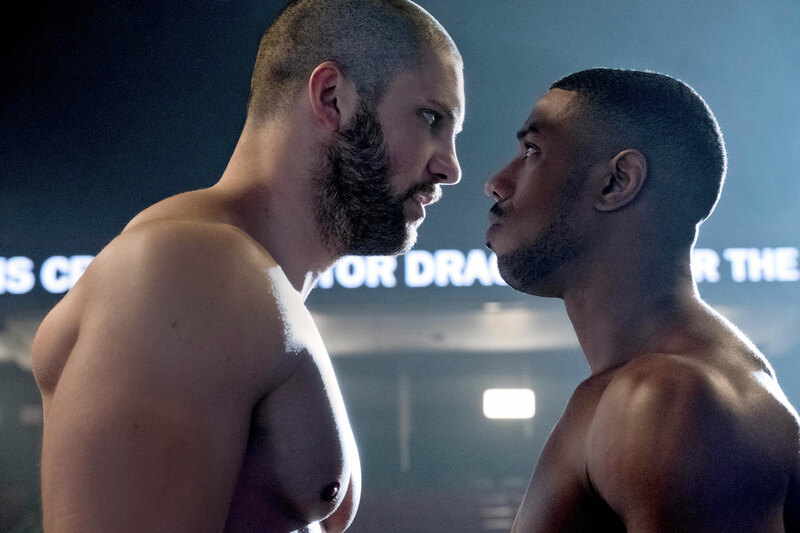 Creed II is a solid movie and a worthy installment in the Rocky franchise. But I do think that what can be told has been told. At this moment it does not seem that there is an original place to go. I do hope that they do come up with something because I think that the there should be a definitive end to the story of Rocky Balboa. This series ought to end with a shot of Rocky’s grave next to that of Adrian. It will be a moment when grown men will shed a tear.